Pachermo peak climbing Trek fell on Rowling region in the center Himalayas of Nepal and situated below the Gauri Shankar Himal. Tasha Lapcha pass trek in Rowling region is not only the challenging but also wilderness trek in Nepal. The trekking trail discovered since 1951 during the research footprints of Yeti since it is a terrifying journey allow you а wilderness sense. Besides that, biological diversity, rich in cultures, and the largest glacier lake of Tso-Rolpa. This route is converting а trade route between Rolwaling valley to Khumbu once after discovering the trail. 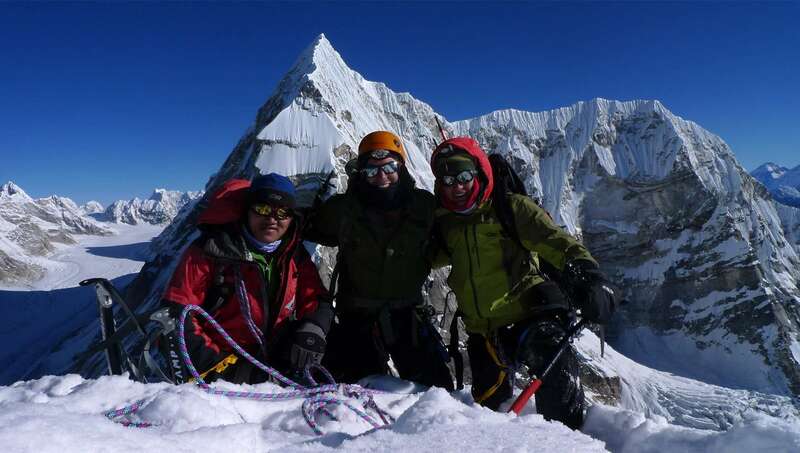 The Pachermo peak climbing allows for exploring both Rolwaling valley and Khumbu valley in a single excursion. 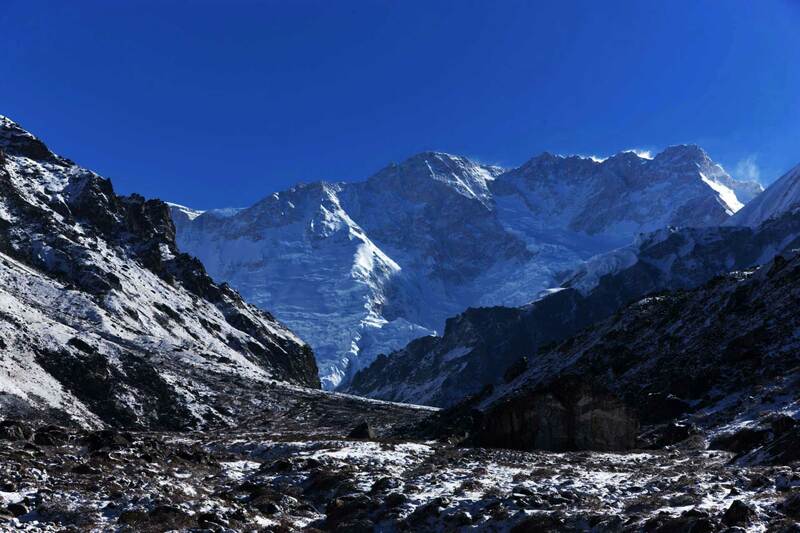 The famous trekking peaks enclose in Tashi Lapcha pass namely Ramdung Peak, Pachermo Peak, and Melungste. Pachermo Peak climbing requires the proper physical conditions as well as knowledge of handing rock and snow along а different kind of glacier. The face of the ridge appears as a uniform slope damaged due to crevasse and series growing from the rocky lower buttresses above the Drolambau Glaciers in the west. The Pachermo peak stands close to the pass but needs to generate high camp in comfort location a few hundred meters downhill. It’s due to the rocky-icy trail and needs to back in the neck of the pass then make the summit. 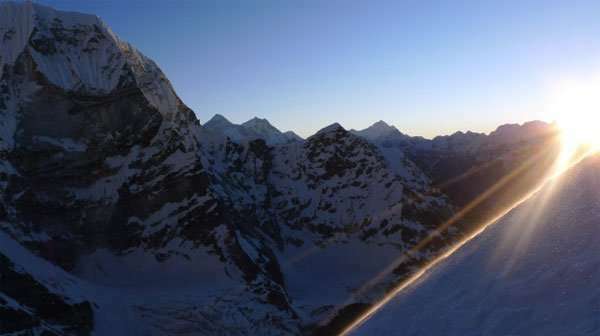 An excellent view саn see on the top of the peak and back to camp later, descend to join the Khumbu region. 3: Kathmandu – Shigati (950 m) Trek to Suri Dobhan. 4: Suri Dobhan – Jagat (1440 m): 6h00 walk. 5: Jagat – Simigaun (1,990 m): 5h30 walk. 6: Simigaun – Kharka (2,900 m): 6h00 walk. 7: Kharka – Beding (3,690 m): 4h00 walk. 8: Beding – Na (4,180 m): 5h00 walk. 9: Na – Tso Rolpa Lake (4,588 m): 7h00 walk. 10: Tso Rolpa – Trakarding Glacier (4800 m): 4h00 walk. 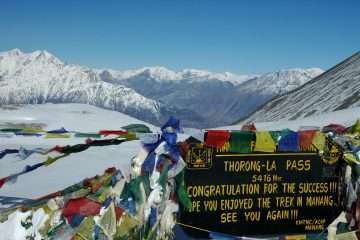 11: Trek – Tasha Lapcha Base Camp (5,010 m): 5h00 walk. 15: Thengpo – Thame (3,820 m): 4h40 walk. 16: Thame – Namche Bazaar (3,440m): 5h00 walk. 17: Namche – Lukla (2,840 m) 7h00 walk. 18: Flight: Lukla – Kathmandu. Day 3: Kathmandu – Shigati (950 m) Trek to Suri Dobhan. This is the picturesque journey along the road traversing by cities, villages, rivers, mountain scenery up to Dolakha then rough gravel road to Shingati then walk to Suru Dhobhan. Day 4: Suri Dobhan – Jagat (1440 m): 6h00 walk. Day 5: Jagat – Simigaun (1,990 m): 5h00 walk. After the breakfast in the morning, the trail leads the easy walk on the open path, taking several ups and downs through the path of forests. Then, cross over the river by suspension bridge a steep climb rock-face trail takes a village of Sherpa, Simigaun. The inhabitants are mostly Buddhist and situated in the balcony of the mountain. Day 6: Simigaun – Kharka (2,900 m): 6h00 walk. Several Sherpa villages need to be passing towards Kharka. We can see a fascinating view of Gauri Shankar on the ridge top of the village in the morning. The trail gradually goes uphill a rock-face with the beautiful dense pine forest in the Rowling valley. And descend back once to the River then get in Kharka. Day 7: Kharka – Beding (3,690 m): 4h00 walk. We follow the left bank of Rolwaling Khola gradually ascends passing by different verities of vegetation and Rhododendron along the deep valley of the river. Continuing walk along further until coming to easy and flat terrain. Finally, get the Sherpa village of Beding which situated edge of Rolwaling Khola. Day 8: Beding – Na (4,180 m): 5h00 walk. We follow the northern trail bank of the river; it is an easy walk. We pass through the village, yak pastures and arrive at a monastery where Guru Padma Shambhava was medicated in ancient. And get at last settlement of the region, Na. Day 9: Na – Tso Rolpa Lake (4,588 m): 7h00 walk. At the beginning of the trek, it is easy walking and relatively climbing up to experience the Himalayan glacier with the fascinating view of Melungtse. And continue walking along the river bank to Tso Rolpa. Day 10: Tso Rolpa – Trakarding Glacier (4800 m): 4h00 walk. This is an adventurous day toward Trakarding Glacier. All the day need to walk along the pristine glacier, still, be ascending passing by rock climbing with a hanging glacier. 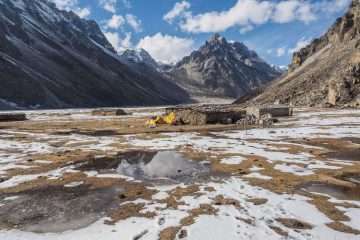 Day 11: Trek – Tasha Lapcha Base Camp (5,010 m): 5h00 walk. The trail follows high and horizontal slopes above the glacier to keep away from the lower section, but continue up have to trek along the thick rocky glacier. 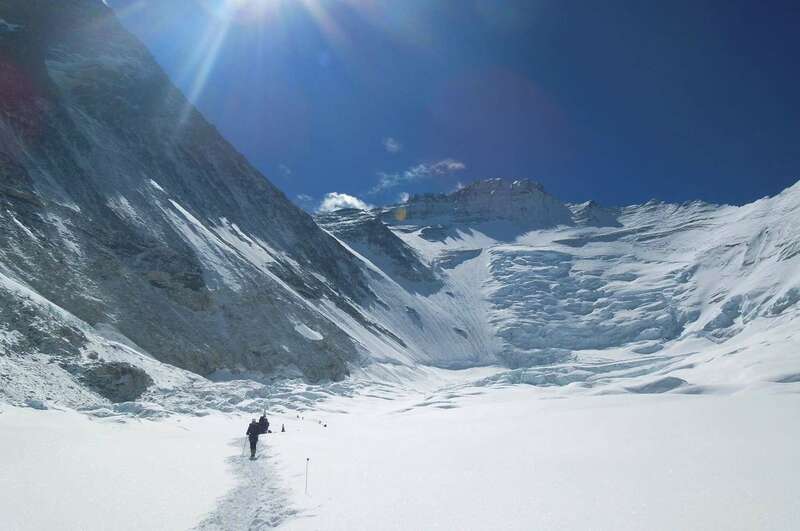 The trail leads lower point of the icefall and ascends to the easiest point to get the Drolambau Glacier. Then further walk down to Tasha Lapcha Basecamp. Snow-capped mountains surround it. 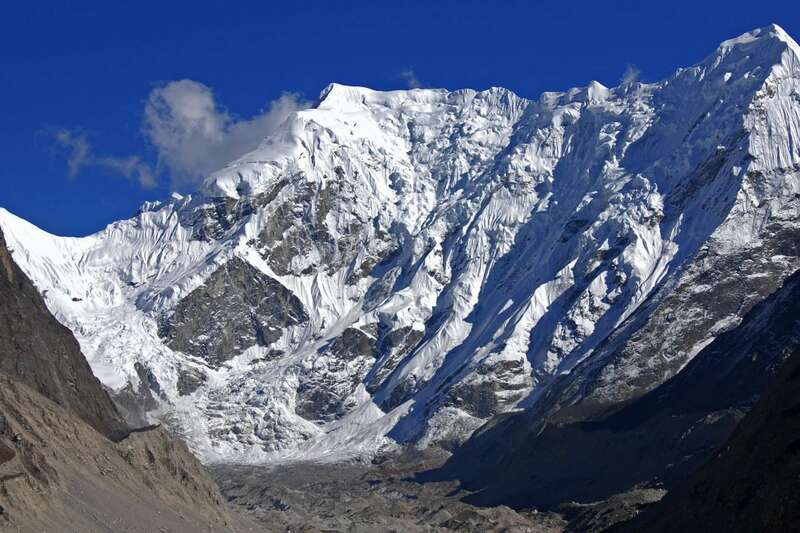 We climb back again to the neck of Tashi Lapcha, and we start the ascent of Pachermo from there. 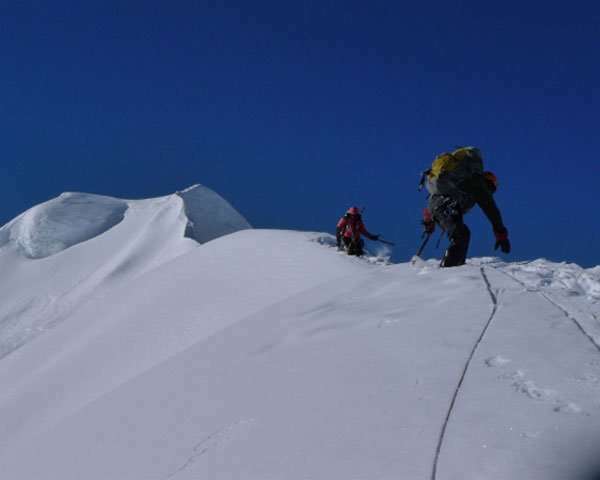 The slope snow that leads us to the final ridge, sometimes, it requires fixing the ropes. Enjoy the incredible mountains scenery from the summit of Pachermo. Then, walk down to pass and to Tengpo. This is considering as security day in case of bad weather. There is no guarantee for the weather. If the weather does not allow making summit on the planned day or can be used as acclimatization for somebody in the group may get the problem. Day 15: Thengpo – Thame (3,820 m): 5h00 walk. Several days not in civilization since Beding and Na, will be meeting in Thame. Today, it is an easy walk but gradually descending to Thame. It will be enjoyable most of the way with spectacular mountains scenery. Day 16: Thame – Namche Bazaar (3,440m): 5h00 walk. This is the ancient trade route over the Nangpa-La Pass into Tibet. Today is an easy walk to Thame with magnificent views of mountains. Day 17: Namche – Lukla (2,840 m) 7h00 walk. Namche to Lukla, the first part of the trail steep downhill leads us to River. Then gradually, descending and passing several Sherpa villages, vibrant cultures, landscapes. Finally, get to Lukla. Early morning, 40-minute thrilling flights to airstrip from Lukla to Kathmandu by plane offers a marvelous view of Central Himalayas and as well as beautiful landscape and hills. 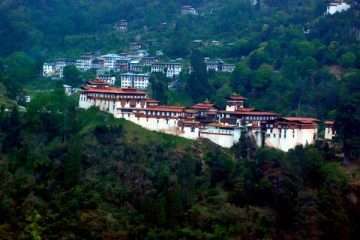 Bhutan is the best destination for travelers.